My dad has been my go-to outdoor companion since he taught me how to ski when I was three years old. Over the years, I’ve looked back with a lot of gratitude for the role he has played in my love for skiing, hiking, and enjoying the beauty of the Pacific Northwest. 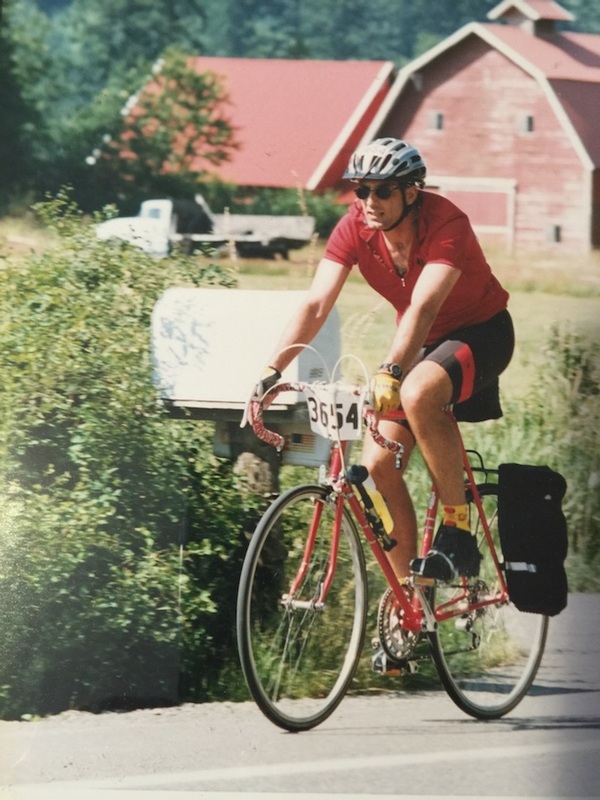 One of my dad’s favorite ways to enjoy the outdoors is by way of bike, and I’ve loved watching his passion for cycling extend over many years. I remember being a young girl and looking at my dad’s photos from bike races and medals from marathons he had run that were stashed, ever so humbly, in his closet. “My dad is awesome” was the overwhelming sentiment I carried around with me. I recall deciding that I wanted to be strong like my dad — and recognizing that early on has helped me to live a healthy life. 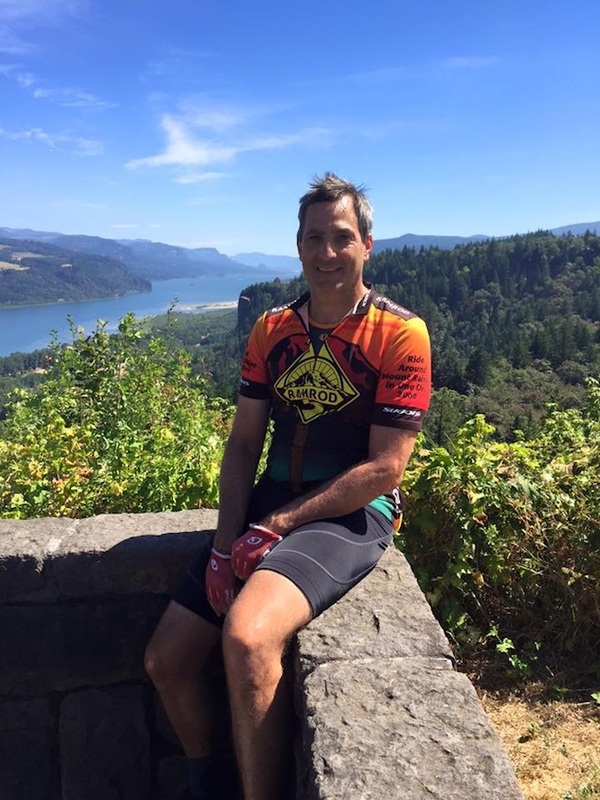 My admiration continued to grow as I watched him take on challenges like RAMROD (a one day bike ride around Mt. 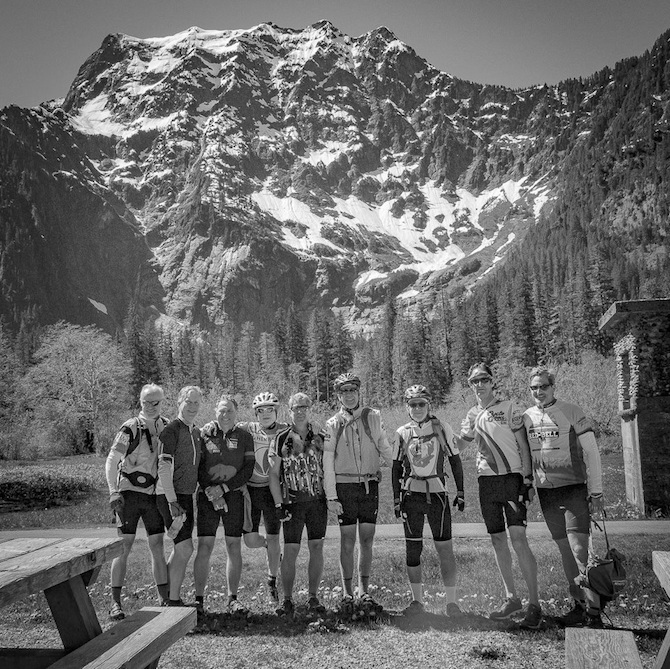 Rainier with killer hill climbing), the Seattle to Portland race, and much more. For many years, our family took a trip to Bend, Oregon each summer. The central group activity for these trips was always cycling — but probably not the type of cycling my dad would be doing if he wasn’t with his young daughters. This often meant that at least one of my sisters was enjoying a free ride in a bike trailer while my dad towed them along. I look back fondly on these years and recognize that cycling provided a unique middle ground upon which the entire family could rally and enjoy one another. At a certain point, my dad’s cycling, which was often a solo activity for him, grew to include a number of his male friends who were parents from my elementary school. This natural group formed and they’ve now been riding together on weekends and on longer trips for years. The men in his cycling group also happen to all be dads of daughters for the most part, so I’ve wondered occasionally if their frequent rides also involve sharing best practices (and pain points) on raising girls. One of their annual traditions is the Ride Around Washington trip (RAW) — a week-long ride across the state. My dad had a great way of making sports readily available to us, encouraging us to keep trying until we found appreciation. He modeled for us what healthy fun looks like. Hanging out with dad often meant we would be playing outside on some level, and that alone provided a great foundation. As my friend groups formed in later years, most of us shared an interest in the outdoors and I had my dad to thank for instilling certain skills and perspectives needed to fully enjoy outdoor sports in a group setting. I recently got a new bike, and with it, a revived opportunity that’s been in front of me for a long time. As I was researching bike options, I called my dad to discuss technical details and get his perspective. Hearing his energy through the phone was contagious and reminded me that he’s always been there, ready and willing to share yet another great activity with me and my sisters. I’ve got some lost time to make up for, but I couldn’t be more excited to spend some extra time on a bike by my dad’s side. He’s definitely going to outpace me.